Platinum Tsavorite and Emerald Eternity Ring — Form Bespoke Jewellers Ltd.
A beautiful platinum eternity ring with tsavorite and emerald. 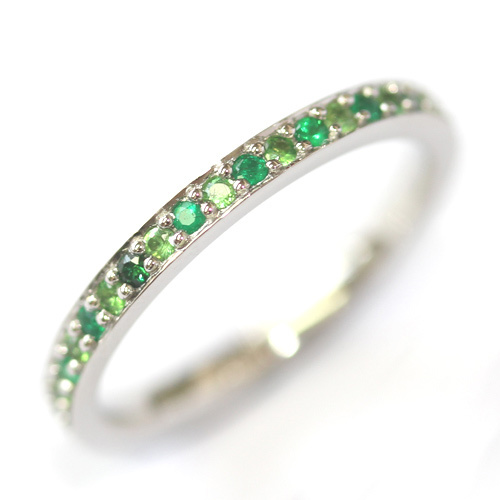 This bespoke and colourful eternity ring showcases a combination of beautiful, green stones. Grain set into the band, are both tsavorites and emeralds offering a variety of sparkling shades. The band of the ring is cast in platinum and has a court shaped profile on the interior, for a comfort fit. A delicate eternity ring with a colourful twist.